Kessler just stepped down as director of the Entertainment Arts and Engineering (EAE) program at the University of Utah, where in 2007, he founded EAE as an undergraduate games emphasis program. Then, in 2010, EAE became an official University program with its own master’s degree. In 2017, EAE added a bachelor of science in games degree. Over the years, the program has been consistently ranked in the top 5 best video game design programs in the world and achieved number 1 three times. It currently has grown to 11 faculty and 600 undergraduate and 120 graduate students. Kessler has authored two books and over 75 journal and conference publications, and has received over $16M in external funding. He founded two startup companies and has been on several corporate boards. He is an award-winning teacher having received the College of Engineering Outstanding Teaching Award in 2000 and the University of Utah’s highest teaching honor, the Distinguished Teaching Award in 2001. In the early 90s, Kessler founded the Center for Software Science, a state of Utah Center of Excellence, which was a research group working in nearly all aspects of system software for sequential and parallel/distributed computers. In the late 90s, he served as chairman of the Department of Computer Science (which became the School of Computing in 2000). At about that same time, his research interests expanded into software engineering. He also dabbled in agent technologies. Kessler earned his B.S., M.S., and Ph.D. in 1974, 1977, and 1981 respectively, all from the University of Utah. His early work centered on the portable implementation of the Lisp programming language and then distributed and parallel implementations of Lisp. 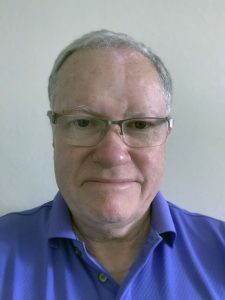 Kessler will receive his award at the awards dinner held on Wednesday evening, 5 June 2019 at the Hyatt Regency Coral Gables, Florida during the IEEE Computer Society Board of Governors meeting. Read more about the Computer Science and Engineering Undergraduate Teaching Award, including a list of all past recipients.